Whenever payday is still a bit away and your wallet is running on empty, these delicious and cheap bean sprouts will keep you company! One bag is about a few 10s of yens at times and the calories are low... yet there's enough volume to stay full. It's such a good thing to eat when you're low on money! If you put 4 ones in a row, it looks like a bunch of bean sprouts put together... 1111! 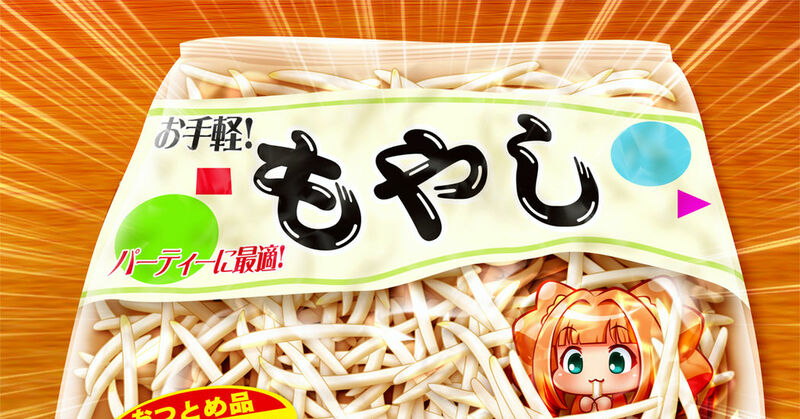 So, today is bean sprout day, November 11th. Check out these bean sprout images! It’s Fun Biting into Corns! Representative of Summer Fruit, Watermelons!